Today's review cigar was sent to me in a trade about four months ago. I'd been looking forward to trying this stick, but somehow it just had slipped through the cracks. The La Herencia Cubana Oscure Fuerte is another AJ Fernandez blend (of Man O War/Diesel fame) and is listed as a more powerful extenstion of the regular La Herencia Cubana line. This cigar uses the increasingly popular Pennsylvania Broadleaf wrapper and a mix of Nicaraguan fillers from three different regions of the country. I've waited long enough to try this stick, so let's get on with the review. My La Herencia Cubana Oscuro Fuerte was a very hefty stick. The firmness of the roll mixed with the 52 ring gauge made this robusto vitola feel very heavy in my hand. The wrapper was smooth, oily, and had a well-fermented dark brown color. The pre-lit aroma was a very strong earthy, barnyard smell and the pre-lit draw had a similar taste. The flavor was not very pleasant, so I wasted no time in lighting it up. This La Herencia Cubana Oscuro Fuerte lit up very easily even with using a standard lighter and not my normal triple flame torch. The cigar instantly started to produce a strong chili pepper spice which sat heavily in the back of my throat. Mixed with the chili pepper spice was a slight bitter cocoa flavor that. although bitter, was a nice taste. The smoke texture was somewhat dry and had me reaching for my water after every two or three puffs. The body was full. I could tell right from the start that this was going to be a strong cigar. As you can see from the picture above, the construction was top notch and the ash strong enough to hold on for well over an inch. I found the second third of my La Herencia Cubana Oscuro Fuerte to be much more pleasing in flavors. The spice had mellowed a lot and I was now getting a strong espresso flavor to mix with the cocoa. Both of these flavors were very strong and I'm sure even a person new to cigar smoking could pick these out. With that said, I would not recommend this cigar to beginners because it had some serious power. The body was in the upper full range and I started to feel the effects of nicotine in my system towards the end of the second third. The construction was still perfect and the burn line razor sharp. The final third of my La Herencia Cubana Oscuro Fuerte was too strong in strength for my preferences. The flavors were still very tasty with espresso and cocoa notes dominating my palette, but the body was too much for me. I didn't make it all the way to the nub of this cigar because I started to get a headache and a little bit of the jitters. My final thoughts of the La Herencia Cubana Oscuro Fuerte? This is a really strong cigar. I think if you like really strong cigars you would really enjoy this stick. Once you get past the start and the spice starts to mellow out, the espresso and cocoa are nice tastes. 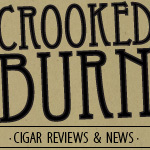 Add in the extremely affordable price tag and this cigar is a no-brainer. For me personally, the strength of this particular stick was just too much. Would I buy it again? Although I liked the flavors and do like some full bodied cigars, I would not buy this one again. Would I buy a box? See above comment.